Today we have a wonderful guest post for you from a teenage blogger from South Carolina in the USA. Amanda is one of the founders of the SKG, a blog and magazine. 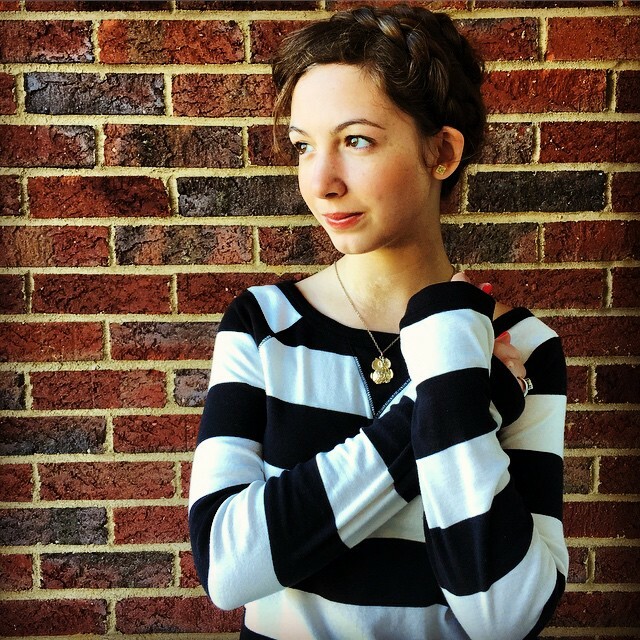 She’s fifteen and has a passion for writing, graphic design, photography, videography, and soccer. Amanda (pictured here) runs her blog with her thirteen-year-old sister Rachel. Today, she’s got advice for you about the basics of blogging – what do you need to think about before you post? 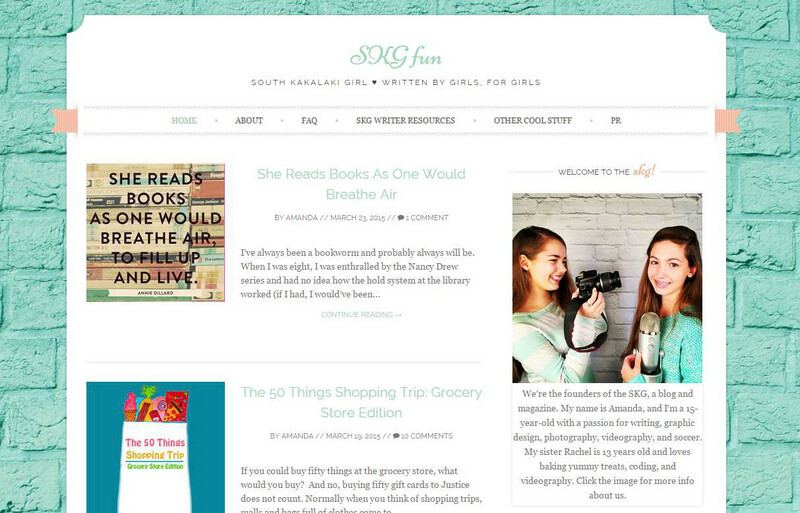 My name is Amanda and I blog at SKG Fun. The blog is a lifestyle blog mainly for girls, but I have guys watching our videos all the time. We publish hilarious bits of writing, helpful tips, and tutorials, as well as review videos and giveaways. We also publish a bimonthly magazine (called the South Kakalaki Girl—that’s what the SKG in “SKG Fun” stands for) and are always looking for writers! Today I’m posting on “Blog Post Basics.” Enjoy! Okay. So you’ve written the first draft of a post. It’s beautiful—well thought out and everything. But your work isn’t done yet! Here are some items you need to go through before posting. Make sure your blog post . . .
Is To the Point. We’re writers—It’s hard not to get all eloquent and fancy sometimes, but people nowadays have very short attention spans. If your blog post is too long, ramble-y, or wordy, people will lose attention. If your post is on the longer side, add pictures (we’ll get to that topic in a minute). Uses Good Spelling. I see so many blogs pots with misspelled words. Most blogging platforms have an automatic spell check—make sure you use it, or you’ll look like an amateur! One of the most commonly misspelled words is “definitely”—people always want to spell it “defiantly.” People also misuse your/you’re, there/their/they’re and its/it’s. Includes Pictures. A little photography goes a long way. People see a picture after reading a chunk of text and it prepares them for the next chunk. It’s kind of like playing a few minutes of a soccer game and then grabbing a quick drink of water—it’s refreshing. Doesn’t contain too many colors, fonts, or bold/italicized words. Using numerous colors and different fonts make you look unprofessional. It’s best to stick with black (sometimes you can get away with coloring a few words) and your blog’s preprogrammed font. Also, choose between either bold or italics—try to avoid using both. Is your post ready to go live? Then publish it and share your genius with the world! Thanks for reading! (Psst . . . here’s my call to action!) What are your tips for blog posts? Make sure to share your latest blog posts with me—I love following new blogs! Its good because they show you tutorials and it shows you lots of tips about liftyel blogs. this is good because it has information useful tips and tuoroials. its good because it shows u information and tips and tourails. the video is really funnnnny lol best video.